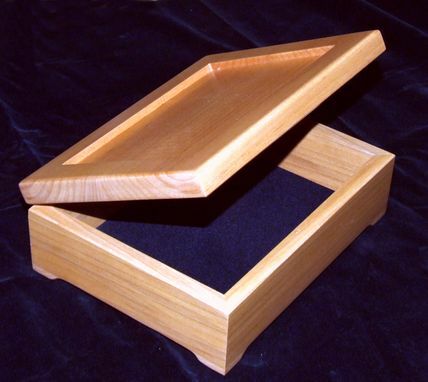 Jewelry box using the LIN57 design. Other designs available. 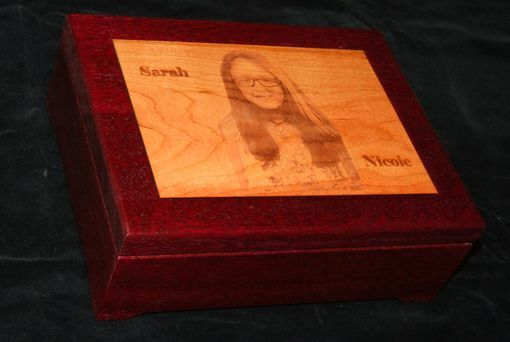 The dimensions of the box is as follows: 7"x9"x2.5" with butterfly hinges and felt in the bottom and a 5"x7" inlay on the outside of the cover. Different woods are available. 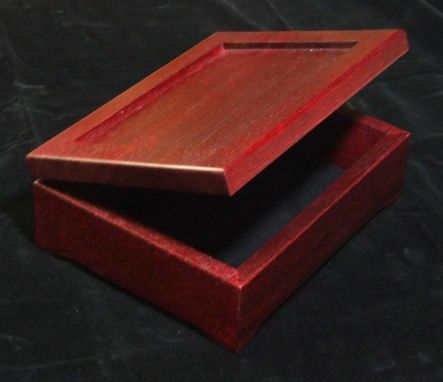 The box has an inlay of cherry wood on the cover. 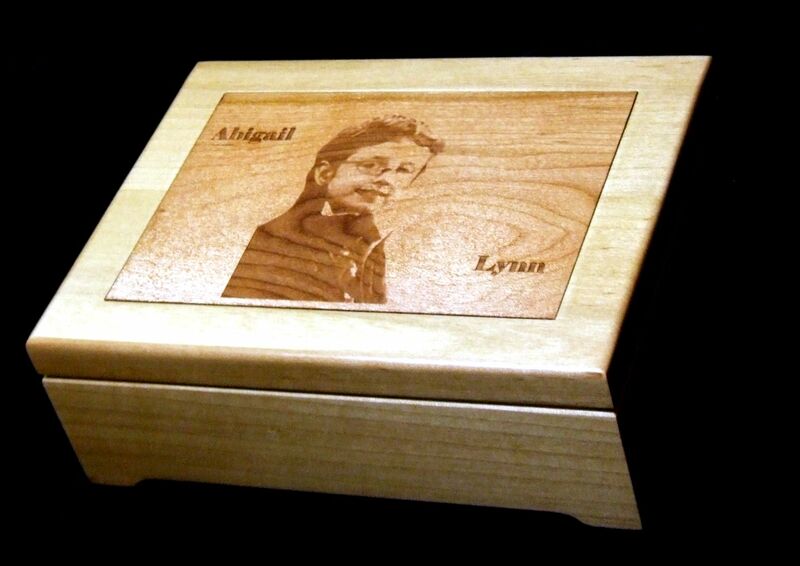 The inlay is laser engraved using customer supplied images and the corresponding text. The images have the background removed and sized to fit. Most any high quality image or photo will work.